The LEDCO Heavy Duty 15" is the newest addition to the LEDCO Heavy Duty lineup. Coupled with an automatic feeder, the HD 15 is primed and ready to meet your high production needs and be an every day contributor on the production floor. Add the 15" Finish Line Cutter and you have the perfect finishing solution for all your projects. Of course, the HD 15 Systems also comes with LEDCO's unmatched 2-year warranty and proven dependability. Independent, intelligent heat controls display both set and actual temperature. Control microprocessor learns to anticipate the heat demand of each job and maintains within a few degrees of the set temperature. Driven, interchangeable silicone laminating and pull rollers provide superior release, high laminating quality, and easy cleaning while avoiding the wrinkling that can occur with only one driven roller. 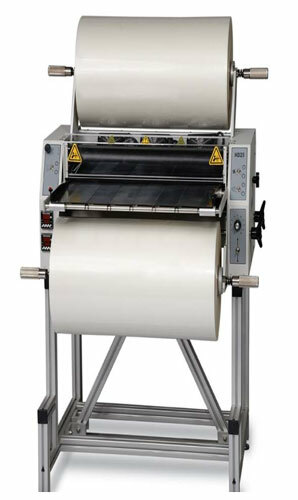 Built in retractable slitters save labor time by automatically trimming side scrap during the laminating process. 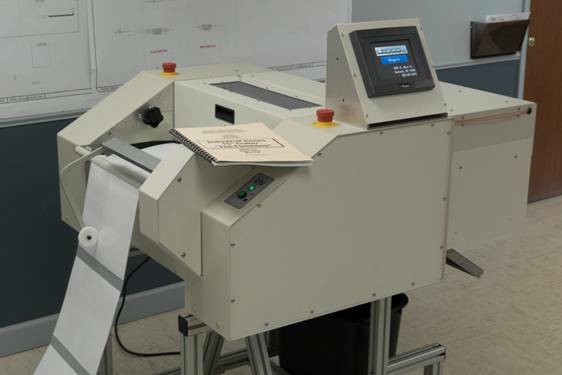 Slitter head can be adjusted precisely and independently. 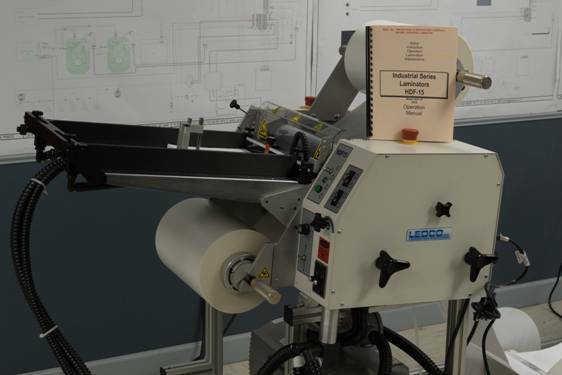 Dual tension knobs for each supply roll mandrel make it easy to produce wrinkle-free lamination. 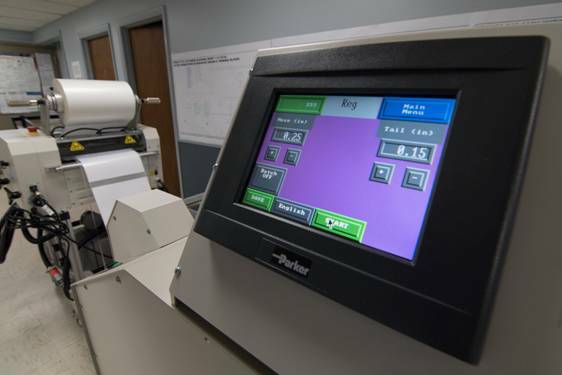 Forced air-cooling ensures quality results when running thicker films. Easy access controls including removable heat shoes and variable speed controls ensure easy operation and make the minimal maintenance and cleaning a breeze. 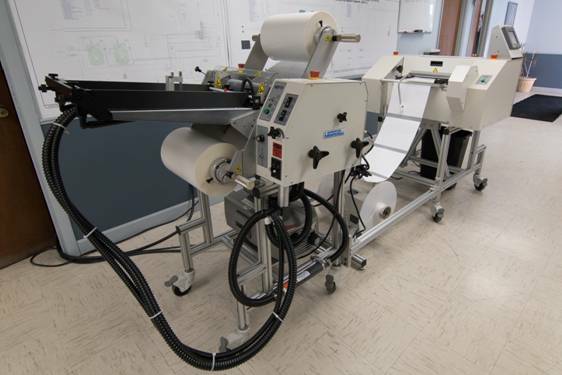 Integrated precision feed tray safety guard ensures the guard will be in place when laminating to protect operators. 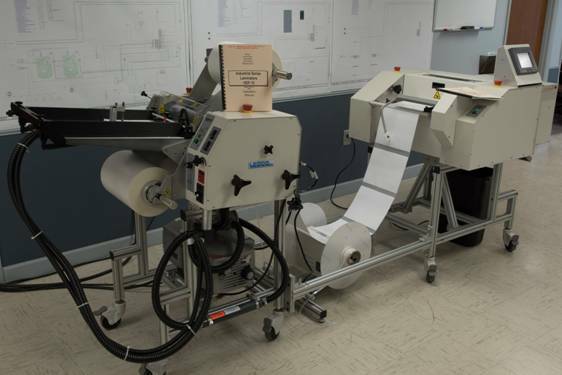 Variable speed control adjusts for various film and substrate thicknesses. Made in USA; two-year manufacturer’s parts and labor warrant. Maximum Film Roll Diameter 13"
Weight / Shipping Weight 150 lbs. / 600 lbs.